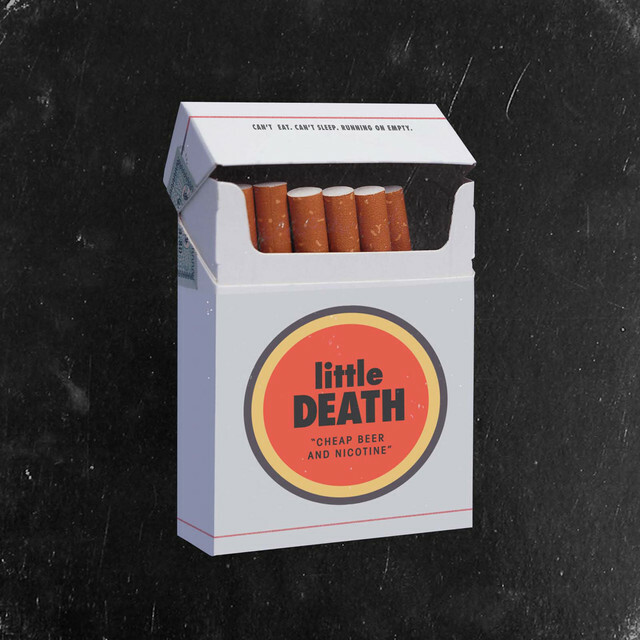 American pop/rock trio littleDEATH have just unveiled their debut single Cheap Beer and Nicotine. I've got to say that this is quite a great debut. I really enjoyed the way the song starts with delicate piano keys, slowly building up into a full throttle piece of rock-tinged indie-pop music with a highly infectious chorus and soaring guitars. Those raspy vocals won me over from the very first listen and they perfectly convey the emotion of the lyrics and give somewhat of a touch of angst that we're used to listening within this genre. Overall this is quite an energetic piece of music with cool vocals and infectious melodies packed with soaring guitars and drums. Stream it below! We’ve been working on this project in secret for about a year and we just launched it on Monday with this song. We feel that this song includes a little of all of the elements that can be found in our music and it’s lyrics are reflective of the overall message of our band. “Cheap Beer and Nicotine” is meant to be sort of a millennial anthem about the struggles that we all face in today’s world. We hope you enjoy it!